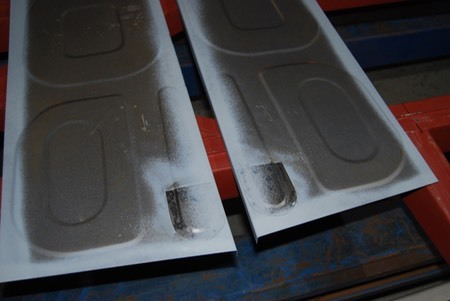 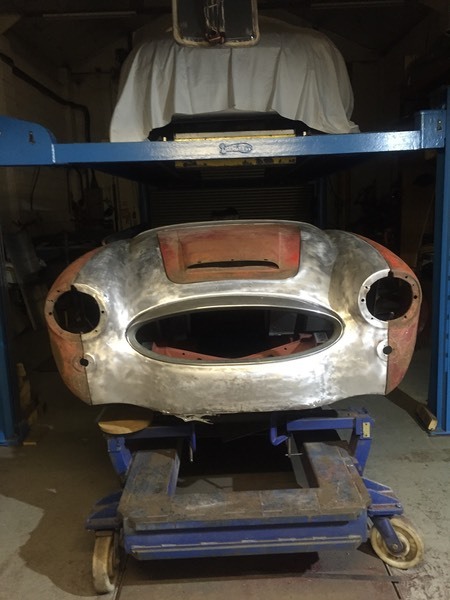 Manufacturer of quality Austin Healey body panels for all models. 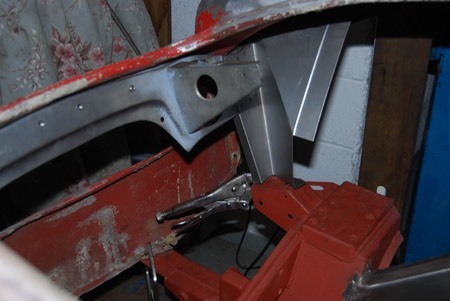 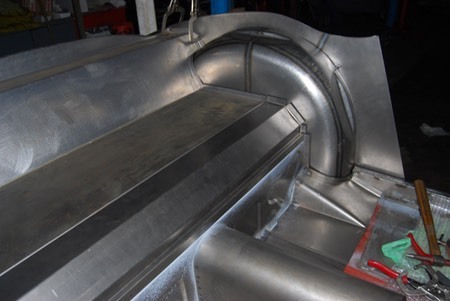 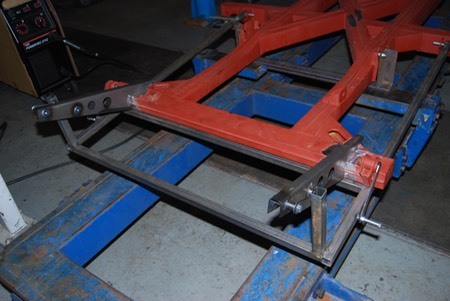 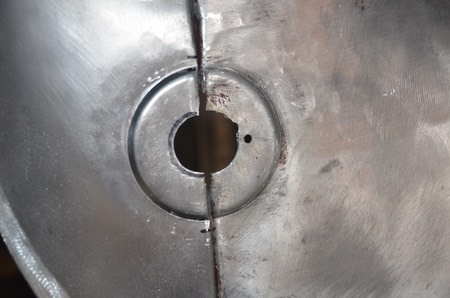 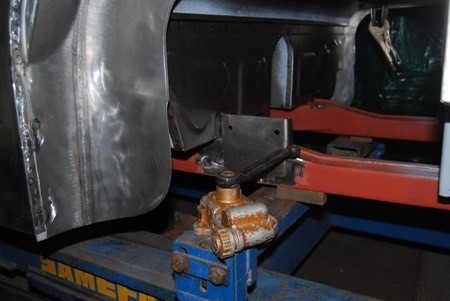 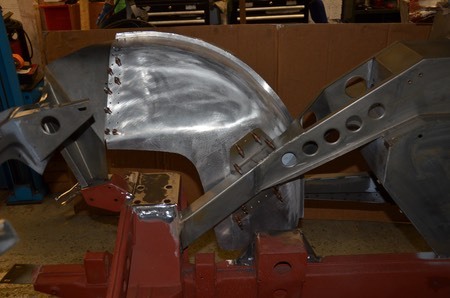 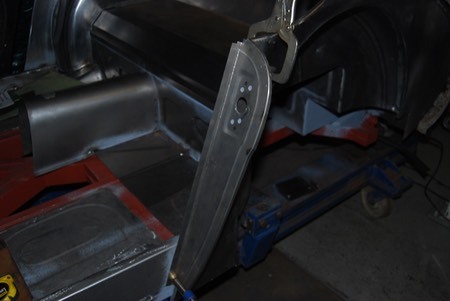 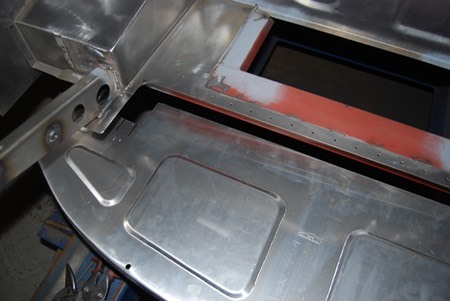 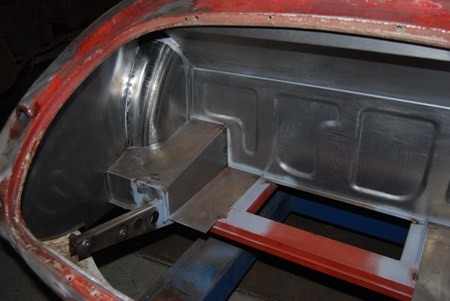 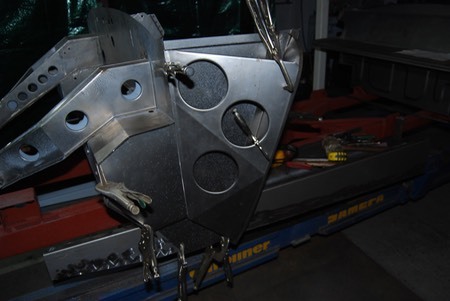 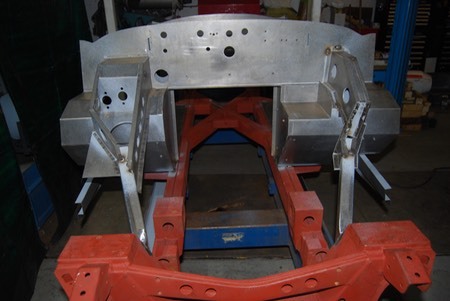 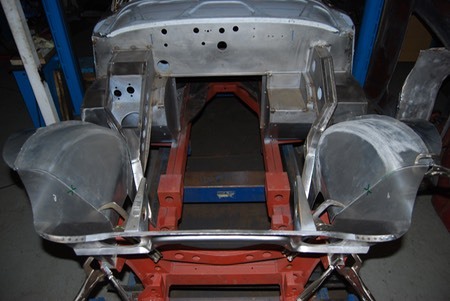 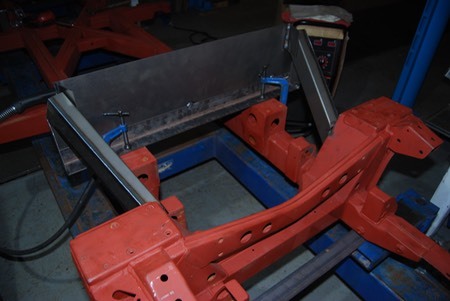 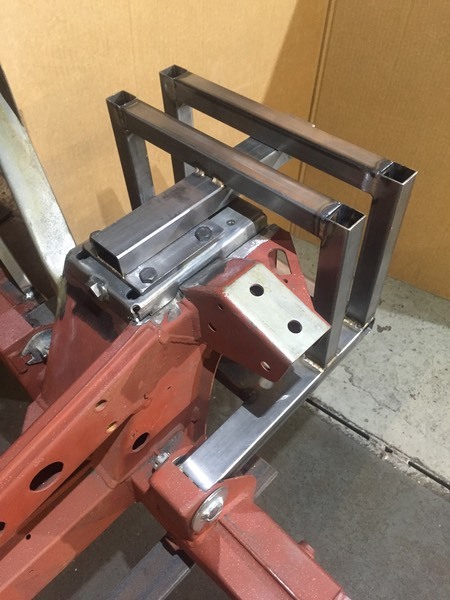 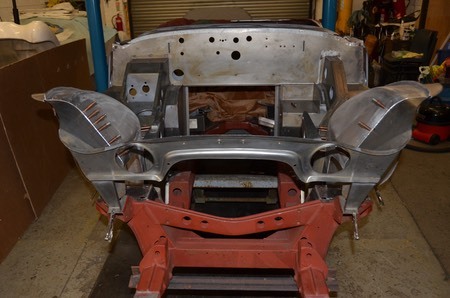 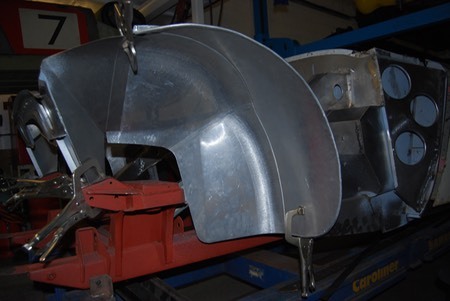 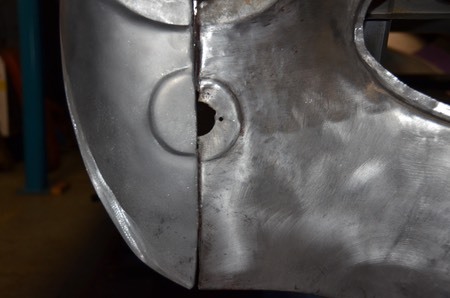 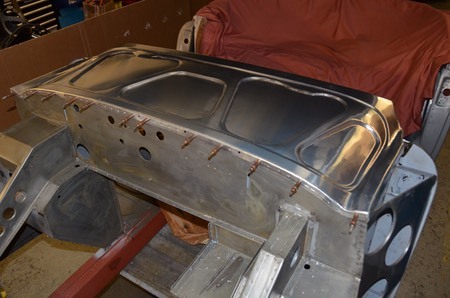 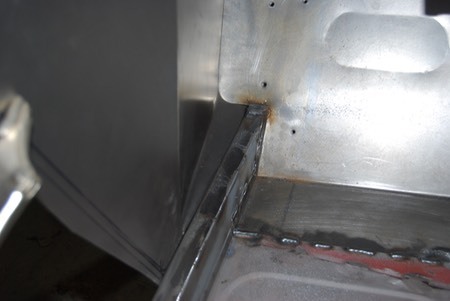 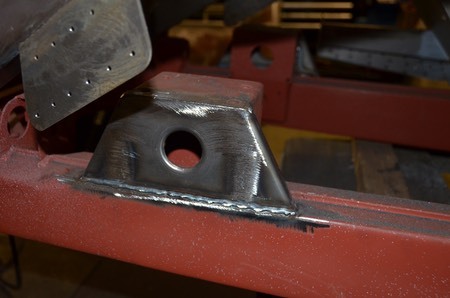 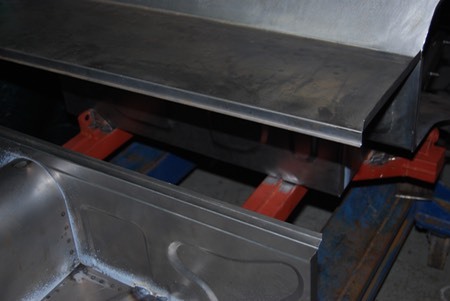 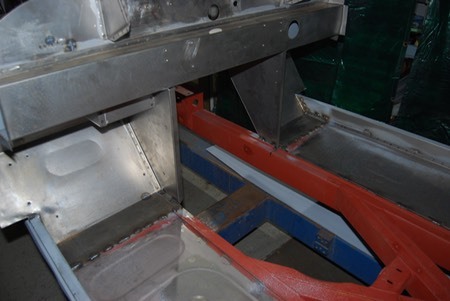 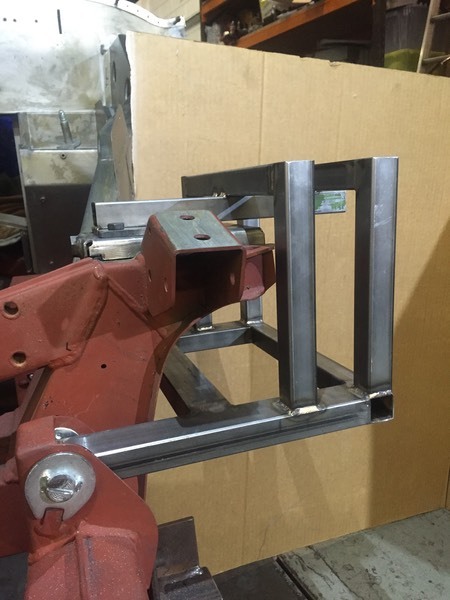 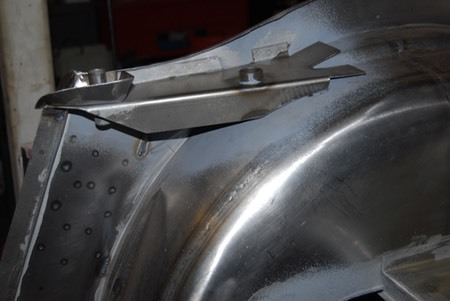 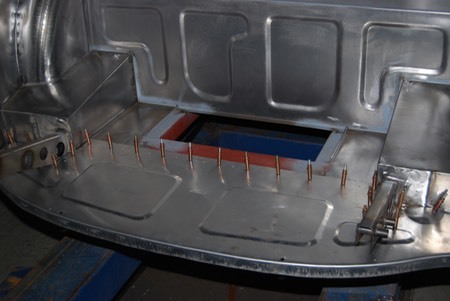 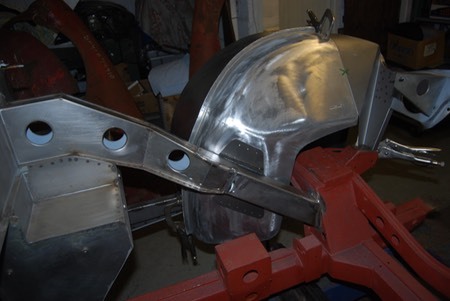 A photographic record of the construction of a NEW chassis and substructures of an Austin Healey 3000. 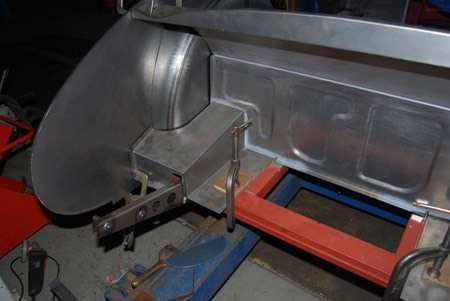 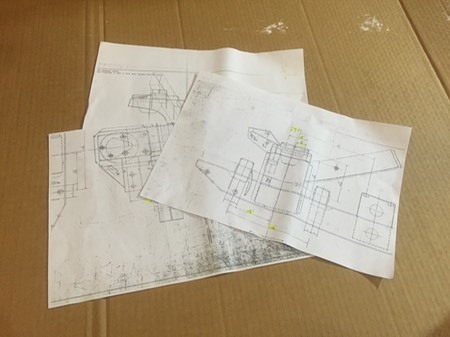 This particular vehicle will be a useable “Rally Replica” for the road using some alloy panels within the substructures, modified LH Pedal Box to accommodate tripple carburettors, larger adjustable rear dampers and the omission of rear seat pans. 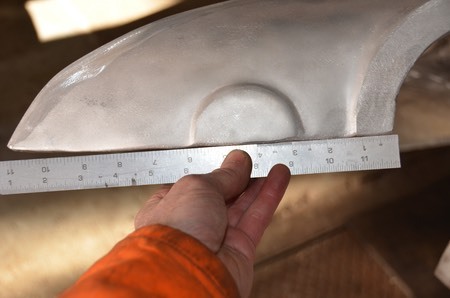 All modifications will be done in a “period” style. 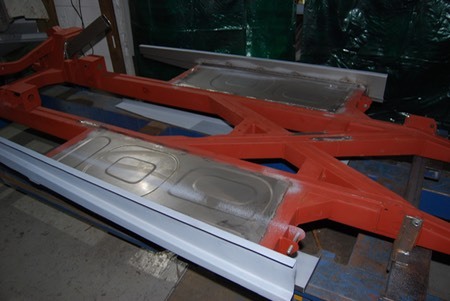 This project is to showcase the workmanship and fit of the panels produced by Dave Hardwick Engineering. 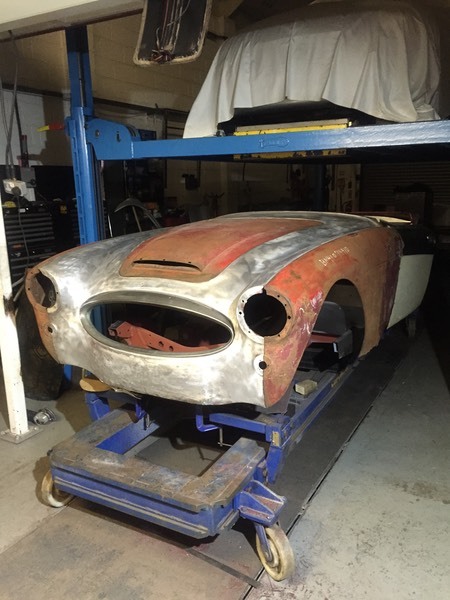 Although this is a slightly modified vehicle a standard or more radical Healey can be constructed to suit the customers requirements. 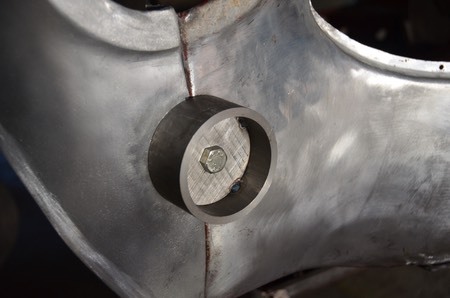 Adjustable Damper mounts fitted with the aid of a fixture manufactured from original drawings. 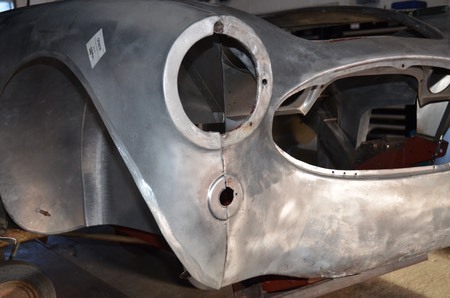 Original panels trial fitted and Shroud put back to the correct shape, also the shroud has been shaped to suit the Grille Surround. 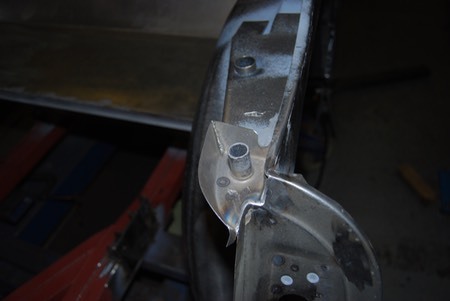 The poorly shaped and positioned sidelight platform has been flattened out and my press tool clamped in position. 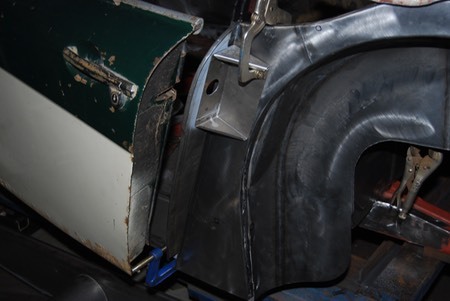 The rear wings are not that impressive! 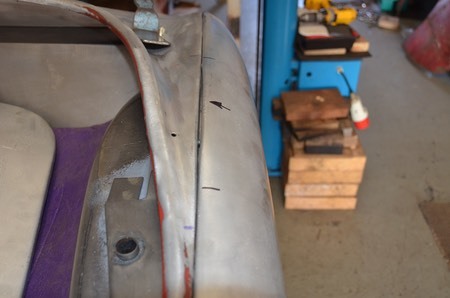 A certain amount of reshaping the top wing line is required to make it straight.